Shirts With Random Triangles: NCAA Banhammers Satellite Camps. The new rule, effective immediately, bars schools from holding football camps for high school prospects off-campus. It puts a stop to camps similar to one held by Michigan head coach Jim Harbaugh last season, who held a series of camps in six different states in June of 2015. It's a win for the SEC, which has called for a FBS Division-wide ban on satellite camps similar to one barring member schools from the practice. 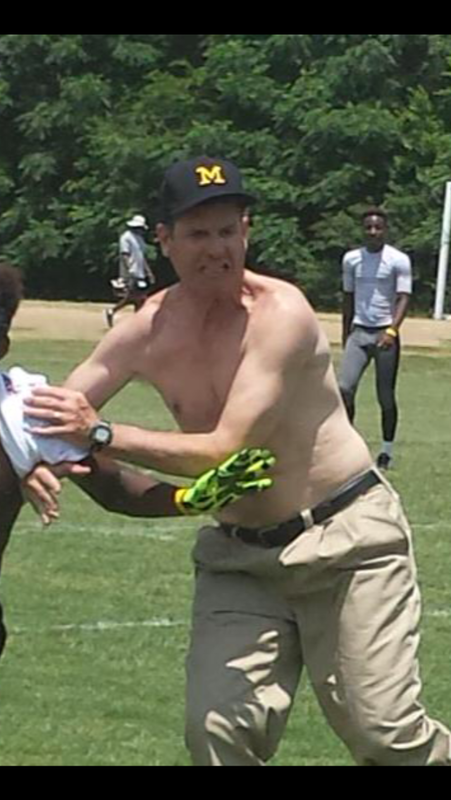 Harbaugh's camps raised the ire of certain SEC coaches last year, including Alabama head coach Nick Saban. The NCAA also barred coaches from participating in camps run by coaches from another school.